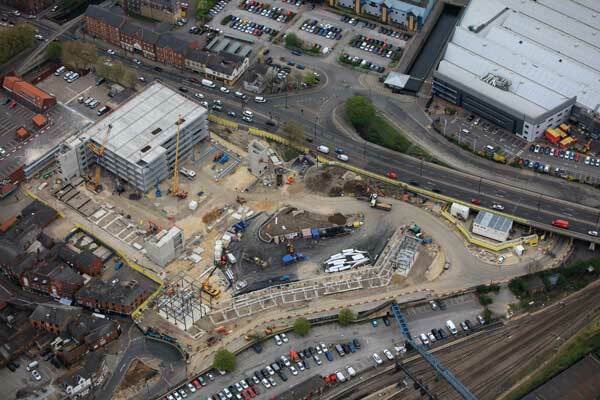 Creating a new passenger gateway for the city of Lincoln, a new transport hub is under construction adjacent to the main railway station. Providing a state-of-the-art bus station, a 1,000-space multi-storey car park, retail space and a new pedestrian plaza, the scheme will also act as a catalyst for further regeneration schemes in Lincoln. Working on a design and build contract for main contractor Willmott Dixon, Caunton Engineering is currently erecting the car park. Based around a 15m × 8m grid pattern, the braced structure’s steelwork supports precast slabs.